Could Uber’s service be a platform for Google’s driverless cars? Over the past five years, Google has strayed far outside the traditional bounds of an internet company by making large investments in clean energy. Some of those investments, which included backing a concentrating solar power developer and a geothermal drilling company, were long-term plays that didn't end up offering much strategic value to Google. The company has since shifted its strategy to support more renewable energy project development, rather than R&D-style investments in cleantech. But that doesn't mean Google is totally walking away from promising new technology opportunities. Google has been working with auto manufacturers to build software for driverless cars for the last couple of years. Now the company is reportedly planning to circumvent traditional manufacturers and build the vehicles itself with help from major components suppliers. Considering Google's past experience investing in energy companies that are struggling to bring groundbreaking technologies to market -- as well as the difficulties electric car companies have had gaining traction in the market -- this move comes with a lot of risk. However, Google appears to be very bullish on the future of smart transportation. And its reported plans to build a driverless car came with another interesting play in the sector: a major investment in the popular car-on-demand company Uber. 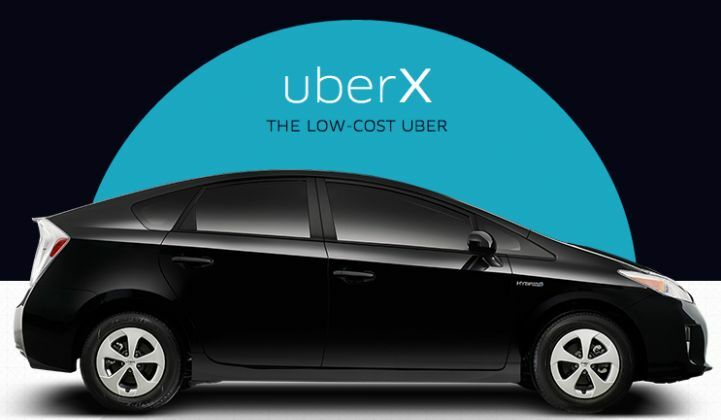 Formed in 2009, Uber developed a simple app to connect drivers of town cars to people looking for rides. The service has expanded to more than 40 cities around the world, and also now includes taxi cabs in many areas. According to filings originally reported on by All Things D, Uber is now valued at $3.5 billion. Uber's CEO, Travis Kalanick, has even hinted that the company may start expanding beyond car sharing and into "anything on demand," essentially becoming the Amazon of the sharing economy. Kalanick confirmed the closure of a $258 million financing round led by Google Ventures earlier this month. The deal resulted in David Drummond, Google's senior vice president of corporate development, getting a spot on Uber's board, where he will advise the company on breaking into new -- often unfavorable -- markets. In a blog post on the investment, Kalanick explained that the funds would be used to "accelerate customer and driver acquisition, and fight off protectionist, anti-competitive efforts." Like other car-sharing companies, Uber has faced fierce resistance from taxi drivers who complain that the service is unregulated and, thus, unfair competition. Uber's latest battle is in Washington, D.C., where it has been battling the city's taxi commission after it banned the company's latest service for small, fuel-efficient cars called uberX. Kalanick said that Uber has a lot to learn from Google, which has deep experience bringing disruptive technologies to market. "We look to Google and Google Ventures for the strategic connectivity to their product initiatives alongside the expertise that comes with evangelizing new technology with governments and regulatory bodies around the world. David Drummond is our director from Google that will help us navigate the company and provide the strategic advice as our regulatory efforts follow Uber’s launches across Europe and Asia," wrote Kalanick. The investment in Uber may also give Google another platform via which to start executing its reported plans for a driverless "robo-taxi" service. Kalanick hinted at the possible use of driverless cars when he described Google's "incredibly complementary product suite, ranging from Google Maps to Android to self-driving vehicles." This partnership will bring together two innovative companies with big ideas on smart transportation. However, regulation -- not technology -- will be the biggest impediment to expanding on-demand and shared transportation services. Companies like Uber, RelayRides (another Google-backed startup) and Sidecar have all faced major roadblocks in states where regulation and insurance law are not friendly to their business models. Potentially adding a driverless car from Google into the mix could become a liability nightmare.